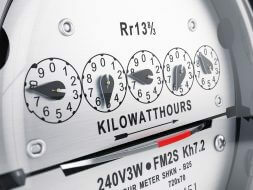 How Many Watts Do You Need to Run the Average Home and Appliances? Whether you’re thinking of going off grid, or just want to get a sense of your energy use before purchasing a grid-connected solar energy system, learning about the energy consumption of various appliances and features in your home is not a bad idea. Knowing your numbers helps you evaluate your home’s actual energy profile—and figure out if you’ve got an energy vampire on your hands. These costly fuel thieves could be draining kilowatt hour after kilowatt hour off your energy meter, without you ever even knowing it. And once you purchase a solar energy system, you really become aware of your home’s energy efficiency and usage. After all, you want to get the most out of every watt of power you produce. Here’s what you should expect out of your home’s overall energy profile—and how that breaks down into individual appliances, as well. 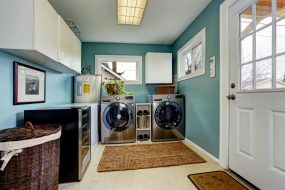 In 2015, the average energy consumption for a US home was 10,812 kilowatt hours, with a monthly average of 901 kilowatt hours, according to the US Energy Information Association. However, your actual energy generation may vary, depending on the size of your home, the efficiency of your appliances and lighting, and your insulation and air sealing, among other factors. Additionally, even your location may factor into the equation—in Louisiana, for instance, which has a humid, semi-tropical climate has a much higher average than the rest of the US, coming in at 15,435 kilowatt hours. On the other hand, Hawaii, which has some of the highest solar installation numbers in the country, uses a mere 6,166 kilowatt hours on average. So your individual numbers may vary. The best thing to do is to calculate your unique solar usage averages using a solar calculator. It may surprise you to learn that refrigerators score so low for energy consumption. Most modern refrigerators use a vapor-compression cycle that helps them conserve energy overall. Flat screen TV: 60 to 115 watts, depending upon the model and size. Window AC Unit: 900 to 1440 watts, depending on the size. Of course, these numbers differ vastly depending on your climate, how frequently you turn on your heating and cooling, the efficiency and age of your system, and how well you maintain it. These numbers are just averages, of course, and not always totally reliable, since your numbers will depend a lot of the size, model, and use of each product. Additionally, most appliances are getting more and more efficient, so statistics can date themselves fast. The best way to understand where you’re using the most energy—and where you’re doing fine—is by having a home energy audit performed on your property by an energy professional. In fact, if you’re going to be installing solar soon, it’s highly recommended. In fact, some solar companies will send an auditor out as part of the installation process. Or your energy provider may offer this service for free or at a discounted rate. That professional can look over your home for the biggest electricity hogs—not only with your appliances and HVAC, but also places where heating and cooling may be escaping through leaks and inadequate insulation. However, you can also make some individualized estimates using the Department of Energy’s estimation tool. Getting to know your energy use and home performance will only help your shot at conserving the maximum electricity possible—and then reaping the rewards on your utility savings!